Patrick Pinchinat (Miami) - Book Appointment Online! 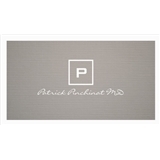 Dr. Patrick Pinchinat is a Board Certfied Psychiatrist in Pembroke Pines and Miami, Florida. He received his medical degree from University of Haiti and has been in practice for 8 years. This office unfortunately has been facing issues with ZocDoc and although appointments appear to be confirmed on the app, they may not be available at the office. When I arrived for my appointment I was informed that they did not have the appointment in their calendar but the ladies at the desk worked swiftly to make sure I was seen that day. They were very helpful and pleasant to talk to, not at all how other reviews have painted them to be. The wait time was pretty long but that could very well be due to the issues with ZocDoc and their system. I waited about an hour to see Dr. Pinchinat but the wait was worth it. Dr. Pinchinat took his time to go over my history with me and was very attentive to my top concerns. He didn't just throw a script in my face and before he did write me one, he made certain it was covered by my insurance. This attention made me feel like I was in great hands upon leaving. I highly recommend this doctor! Make sure to call the office to confirm an appointment after booking.